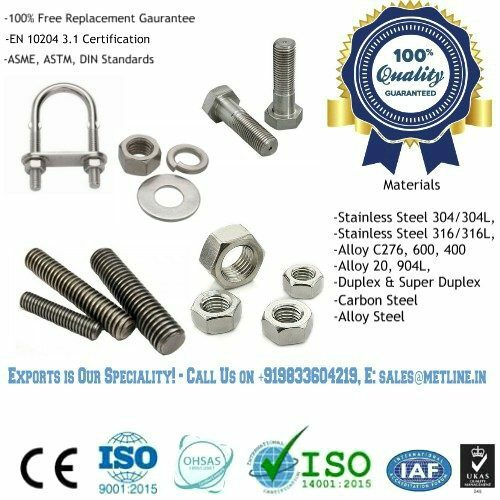 Stainless Steel Stud Bolts & Nuts Set Manufacturers in India, Buy Now! A193 Stainless Steel Stud Bolts & Nuts Set. 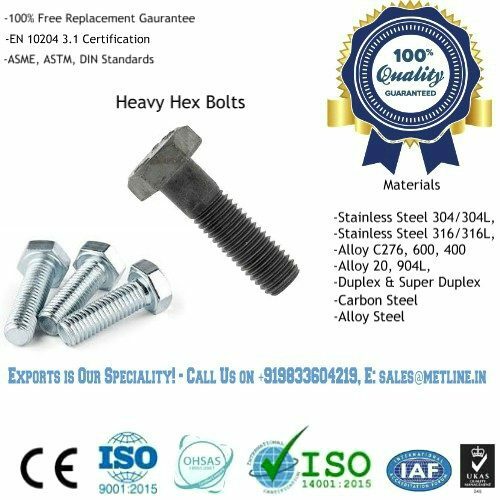 Buy Top Quality Stainless Steel Stud Bolts Set! Metline is a leading manufacturer of stainless steel stud bolts and nut sets in multiple sizes and lengths. We can offer discounts on bulk purchases of stainless steel nuts and stud bolts set. We are specialized manufacturers of hot forged stainless steel bolts and nut in bigger diameters from M-20 to M-100. Metline is a leading manufacturer and supplier of stainless steel stud bolts and nuts set to major OEM’s from capital good and infrastructure sectors. We can offer stainless steel stud bolts and nut set’s in a variety of grades such as 316l, 316, 201, 202, 303, 304, 304l, 309, 310, 310s, 321, 347, 904l, 410, 420, 430, 904, duplex alloy 2205, and duplex alloy 2507.